February 6th in Plugin Lists, Wordpress Plugins by Wordpress Jedi . 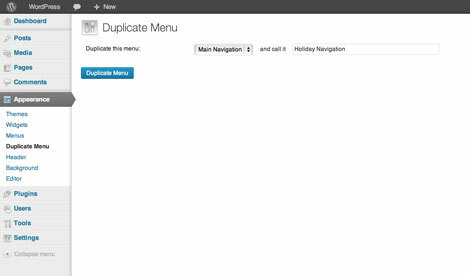 Duplicate Menu: lets you duplicate your WordPress menus in seconds. It preserves the original structure. 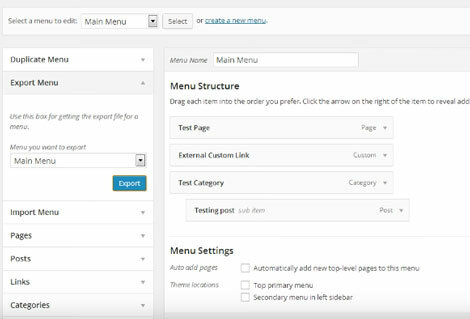 WordPress Menus Management: lets you duplicate, import, and export menus. Menu Duplicator: another simple plugin for duplicating your menus. Just pick which menus to duplicate and the rest is easy. Have you found better plugins to manage WordPress menus? Please share them here.